Palm Sunday sunrise began a stunning morning. Another blissfully beautiful day! 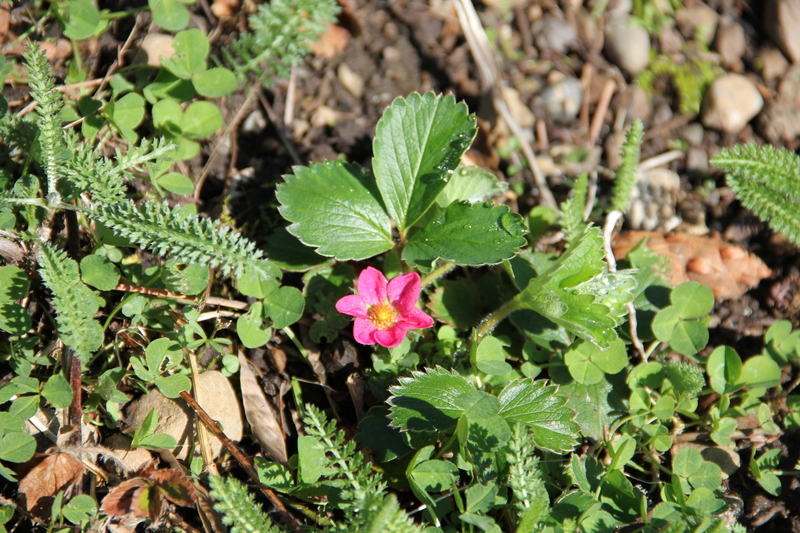 This week I glimpsed the first flowers on wild strawberry plants. Some of these plants are in a sloping bed heading downhill from the perennial garden toward the garden shed. Mixed with ajuga and yarrow, the plants will be providing berries for the birds, and possibly for us as well! They’re also in a hillside bed beneath four hydrangea bushes, and a few are in the perennial garden. Every variety I’ve seen in our garden spreads by runners which produce offshoots called stolons, and all are evergreen at Coppertop. These may be a ground cover variety called Lipstick. 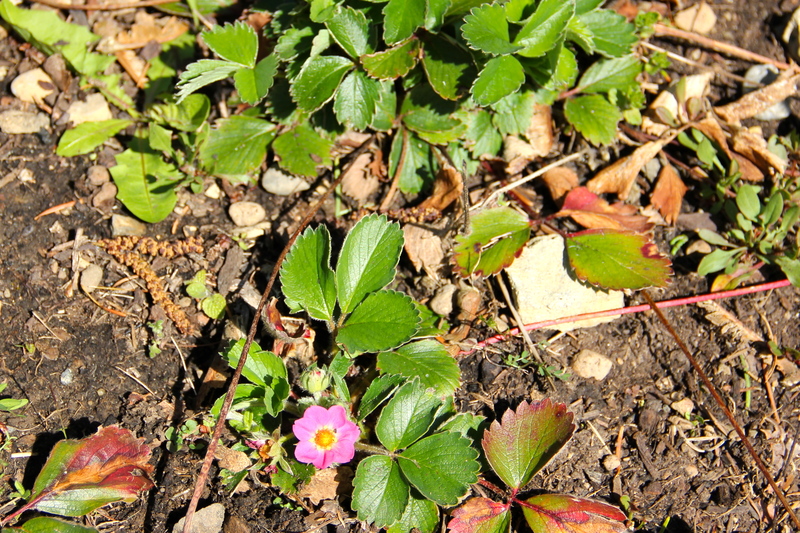 I’ve read that some pink-flowered strawberries do not send runners though, and resources conflict about which ones. We await the blooms on our cultivated strawberry beds. 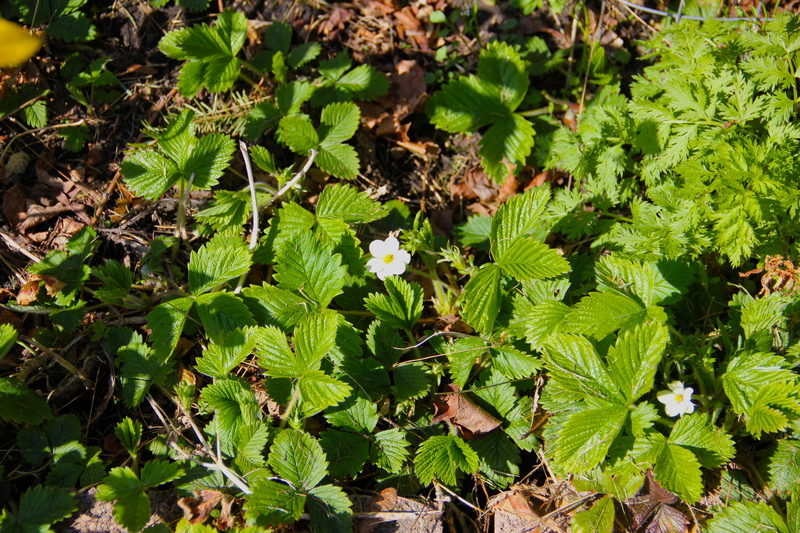 All cultivars were developed from wild strawberries. This entry was tagged alpine strawberry, Coppertop, fragaria, gardening, Olympic Peninsula, wild strawberries. Bookmark the permalink.